Each box of Duel Power contains 6 new Duel Power booster packs with 5 Ultra Rare cards per pack. Duel Powers booster set includes 40 new cards and 60 hot reprints, including the 4 popular discard effect monsters (from Ghost Ogre & Snow Rabbit to Ghost Belle & Haunted Mansion); popular Spells and Traps like Infinite Impermanence, Card of Demise, and Evenly Matched; Link Monsters from Borreload Dragon to Trickstar Holly Angel; and out-of-print cards like Naturia Beast, High Priestess of Prophecy, and 2015s Nekroz Ritual Monsters. This is the must have set for 2019 for any YuGiOh fan! The set contains 100 Ultra Rare cards (40 cards new to the TCG and 60 reprints), 6 Ultra Rare variant cards, and 1 Gameboard. Stock up on food and block all the entrances, the zombie horde is coming! Structure Deck: Zombie Horde builds upon the all-encompassing power of the Zombie World Field Spell to create Duels where Zombies reign supreme! As long as any Field Spell is in play, you can Summon this Decks boss monster from your Graveyard during every Standby Phase. Its other ability to negate a monsters effect or banish a monster from the field or Graveyard only works when a Zombie monster uses its effect, so youll want the Zombie World Field Spell in play so that all monsters on the field and in the Graveyard become Zombies! Three deck mega deal! Stock up on food and block all the entrances, the zombie horde is coming! Structure Deck: Zombie Horde builds upon the all-encompassing power of the Zombie World Field Spell to create Duels where Zombies reign supreme! As long as any Field Spell is in play, you can Summon this Decks boss monster from your Graveyard during every Standby Phase. Its other ability to negate a monsters effect or banish a monster from the field or Graveyard only works when a Zombie monster uses its effect, so youll want the Zombie World Field Spell in play so that all monsters on the field and in the Graveyard become Zombies! The ultimate deck protectors for the Yu-Gi-Oh! Duellist. 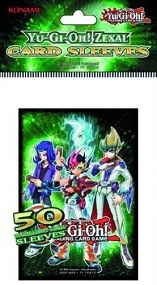 The deck protectors come in packs of 50 and have YuGiOh Zexal Artwork. The ultimate deck protectors for the Yu-Gi-Oh! Duellist. 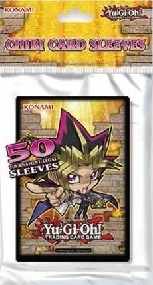 The deck protectors come in packs of 50 and have YuGiOh YuGi Moto Artwork and the Chibi Logo on them.